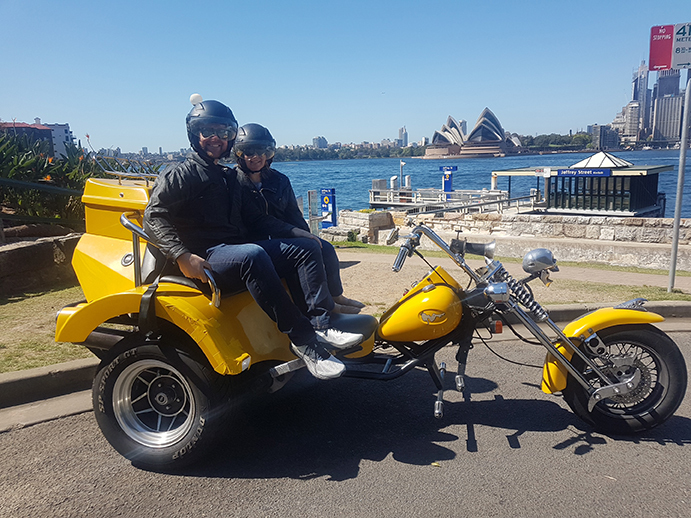 The Southern Spectacular trike tour sounded like fun and something different to do. This tour does show people parts of Sydney that most visitors to our city don’t get to see. Brian picked up our passengers from outside Sydney University. 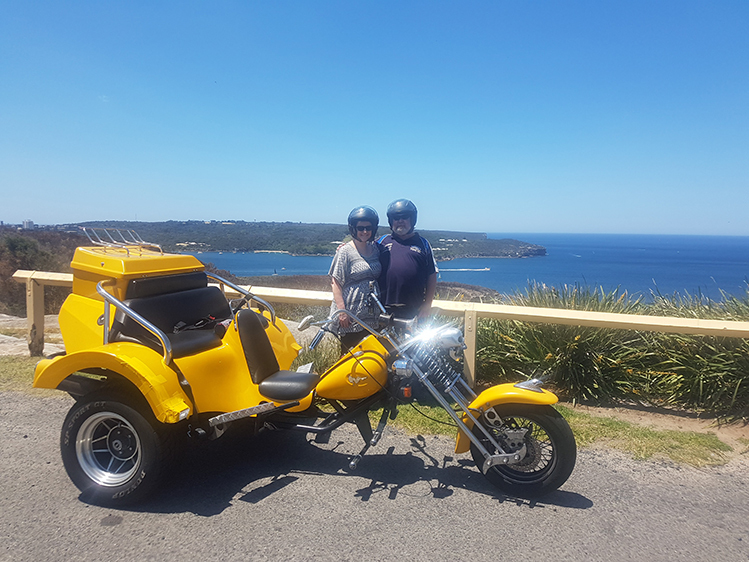 He drove them through the southern suburbs of Sydney to the beautiful Royal National Park. They stopped at Bald Hill for photos and drink break, then headed down Stanwell, over the Sea Cliff Bridge. It is a beautiful part of the coast. They then headed back into the city where Brian dropped them off at Haymarket. The Royal National Park is Australia’s first National Park and after Yellowstone in the U.S.A. was the second National Park in the world to be established. If you are looking for something different to experience and something different to see, this just might be the tour for you.